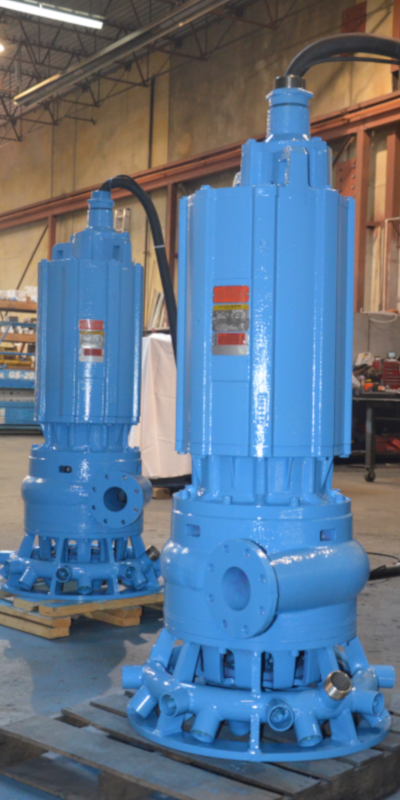 Designed to handle the toughest services in a broad spectrum of solids handling and slurry transport applications, Keystone Pumps feature a wide selection of wet end configuration options and run dry capable, severe duty submersible motor combinations that enable us to configure a submersible pump solution to meet your specific requirements. 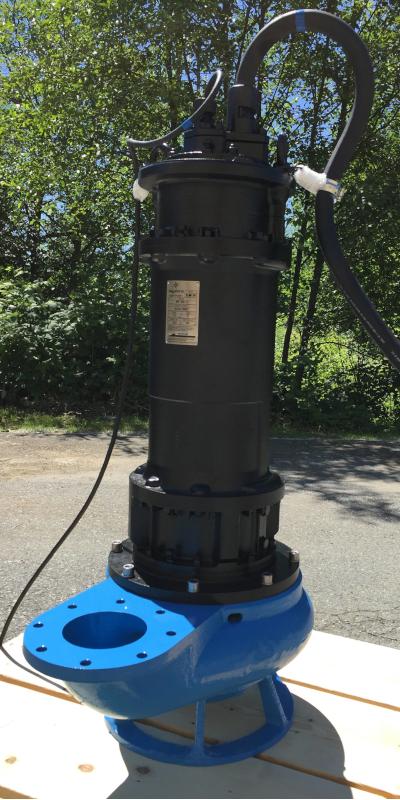 The Keystone pump line-up utilizes a modular wet-end platform approach with common wet end components for a given pump size. 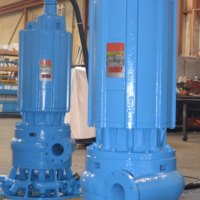 The final configuration to a plain open suction, mixer or shredder type pump is accomplished by adding kit components that are interchangeable and can be added or changed in the field as necessary. 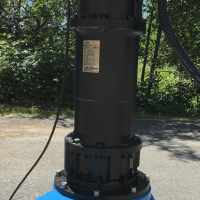 Primarily designed for heavy duty slurry applications, the wet-end components including the strainer are made from abrasion resistant High-Chrome white iron for maximum wear life. CD4MCu duplex stainless steel wet end components are also available for corrosive applications. This enables us to meet the requirements of almost any application ranging from effluent water and waste water disposal, FGD sumps and abrasive slurry transport to food processing waste, wood yard waste and recycling.